Another giveaway! And this time it’s for one of my favourite luxury hand creams by Stratum C. Plus we have six prizes on offer so as many of you as possible will get to try out this great product. Stratum C is one of the best skincare ranges around for mature skin. Check out my previous reviews for their eye serum , skin repair serum and of course the hand cream. It’s designed for anyone going through menopause and perimenopause, so if you’re in your forties and beyond then this is made with you in mind. If you want to try out Stratum C then they have a Special Value Combined Pack featuring the Skin Protect Cream and Skin Repair Serum. Order before 30th June 2016 and you’ll also receive a free hand cream in your order worth £22. The Stratum C range is available at a number of independent retailers, including Harvey Nichols, and online here. Or you could enter the giveaway and win a luxury hand cream for yourself or a friend. Six winners will each receive a 75 ml Stratum C Hand Care Cream, worth £22. 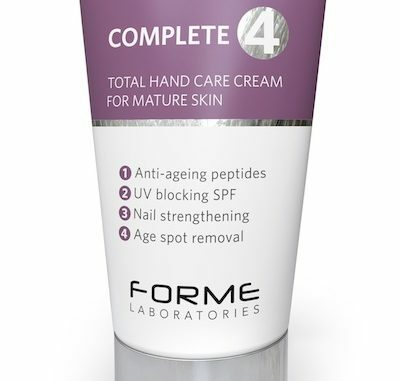 Stratum C Complete 4 Hand Care Cream is the ultimate care package for mature hands, as it protects, nourishes and rejuvenates hands and nails in one rich, non-greasy, luxuriant moisturising cream. You only need to use a tiny bit at a time so it lasts for ages. It’s great stuff and will really help to keep your hands soft and protect them from sun damage. Closing at midnight on Tuesday 21st June 2016. Six winners will be chosen at random and the hand creams sent out as soon as possible after that. UK only. One entry per person please.